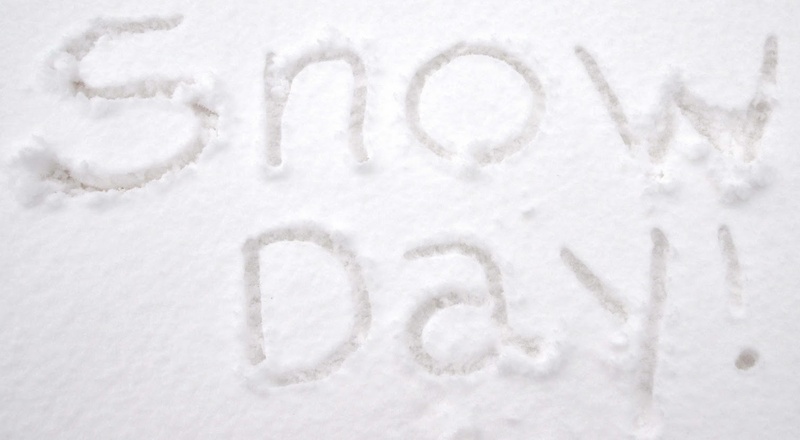 So it’s your fifth snow day this winter…or your fifteenth. Either way, you’ve done all of your spring cleaning, you can’t grade or lesson plan because you haven’t seen students for a week, and you’ve completely emptied your queues on Netflix and Hulu. What’s a teacher to do? 1. Read a good book. If you’re anything like the hundreds of English teachers I know, you love reading. Use the time you’ve been cooped up to read something you’ve been wanting to but just haven’t had the time to start. I haven’t stopped hearing about Jennifer Niven’s All the Bright Places, Atul Gawande’s Being Mortal, and Anthony Doerr’s All the Light We Cannot See—I’ll think I’ll try to tackle the last two this week. 2. Write around a poem. Penny Kittle shared once that she likes to tape poems into her notebook and write around them–it’s one way to move toward doing your own beautiful writing, she advised. So, I signed up to receive the Poetry Foundation‘s daily poem via email, and when I read one I love, I print it and tape it into my writer’s notebook. I’m amazed at the nuggets of written wisdom I arrive at after responding freely to a poem in writing. 3. Read a teaching book. I’ve been wanting to finish Tom Romano’s Zigzag and Donalyn Miller’s Reading in the Wild for quite some time now, but with the day-to-day craze of the school year, it seems like the only time I find to read teaching books is over the summer. This is the time of year, though, that I often need a little lift in my teaching spirit, so it’s always rewarding to explore some new thoughts from some of my old favorites. Since I’m in the middle of a nonfiction book club and writing unit right now, I think I’ll settle down today with Georgia Heard’s Finding the Heart of Nonfiction. 4. Check out that dreaded State Test. Dana Murphy at Two Writing Teachers reminded me that when our students are accustomed to writing in a choice-based, unit-driven workshop, they are not accustomed to writing to a prompt, and that while standardized tests do leave a bitter taste in our mouths, they are a reality our students must face. If we want them to feel confident as writers in all environments, we must prepare them for all writing situations–especially the two or three standardized writing tests they may face each year. Here in West Virginia, we’ve elected to go with SmarterBalanced as our Common Core-aligned assessment. Today I’d like to spend some time looking at the writing portion of that test and brainstorming some lessons to help my students feel confident writing to those prompts. 5. Catch up with your tweeps. Twitter is a bottomless pit (seriously; you can get lost in it) of resources, ideas, and inspiration for teachers. I could spend hours perusing the archives of #engchat, #titletalk, and #litlead, just to name a few. I’d also love to look at the archives of some chats I missed recently–#mindsmadeforstories, for one. 6. Read incredible teacher blogs. I could browse the virtual thoughts of my colleagues forever! We have so many brilliant and inspirational people in our profession, from the genius team at Nerdy Book Club to the marvelous ladies at Moving Writers; the steady wisdom of What’s Not Wrong to the joyful inspiration of the dirigible plum. I’ve also been loving the thoughts of Hunting English, The Reading Zone, and countless more…really. I could never list all the great teacher blogs I’ve stumbled upon. I feel so grateful to the many, many teacher-writers who have helped me fill my writer’s notebook with thoughts and ideas on dreary snow days like these. What are your favorite ways to relieve the restlessness of several snow days? Share in the comments! Thanks for the shout-out, Sharna! And I love the idea of writing around a poem — totally going to do that today! I especially agree about teaching student to write to prompts. When you think about this, we are asked to do it all the time. College applications, job applications, grant applications, and everso many more are all writing-to-prompt While I am certainly not a fan of all this testing, writing-to-prompt teaches one to take knowledge and apply it to a specific situation. This is agility thinking.